EqOpTech, a Los Altos student-run nonprofit, promotes and enables equal opportunity free access to technology for computer learning and STEM education for students in need. Students in the Mountain View/Los Altos School District often work collaboratively on project-based learning using tools such as Google Docs and Edmodo. To bridge the gap for students who do not have laptops at home, Lee and his tech team work tirelessly in the weekly LAHS Refurbish Workshops to reinstall all operating systems, drivers, and software to restore the computer to its original full functionality. All personal data removed prior to redeployment. The Monta Loma laptop home usage program will be deployed in 2 phases: the first 10 refurbished laptops have been delivered to the school on September 1, 2017. 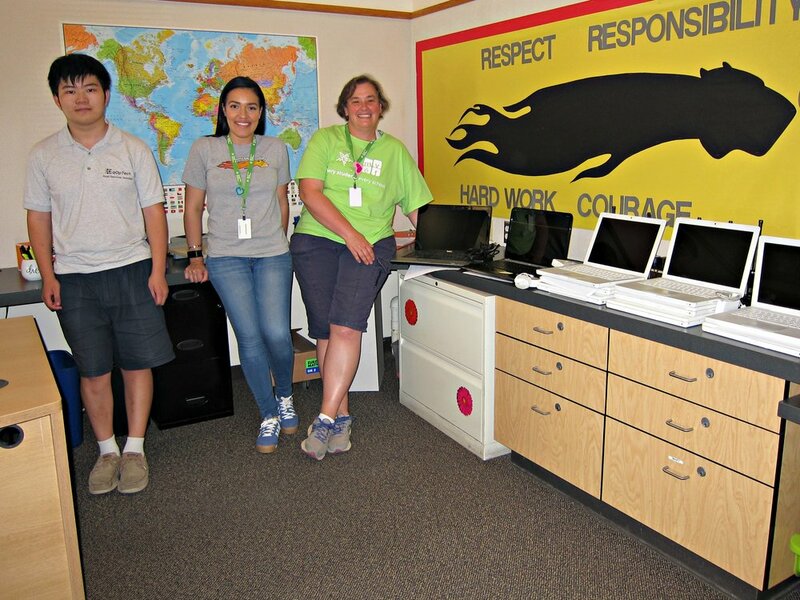 The EqOpTech team would like to express its sincere gratitude to the donors, student volunteers, Monta Loma PTA, Principal Gloria Higgins, Ms. Alice Lee, Shanna Bengtson, LAHS Teacher Sra. Rodriguex, LAHS National Honor Society, Principal Wynn Satterwhite, Los Altos Town Crier, Nextdoor Community for their support. Founded in May 2016, EqOpTech is a 501(c)(3) IRS-designated tax exempt nonprofit organization managed by students. EqOpTech promotes and enables equal opportunity free access to technology for computer learning and STEM education in under-served communities. Our Equal Opportunity Technology program is made possible thanks to Los Altos Community Foundation community grant award.